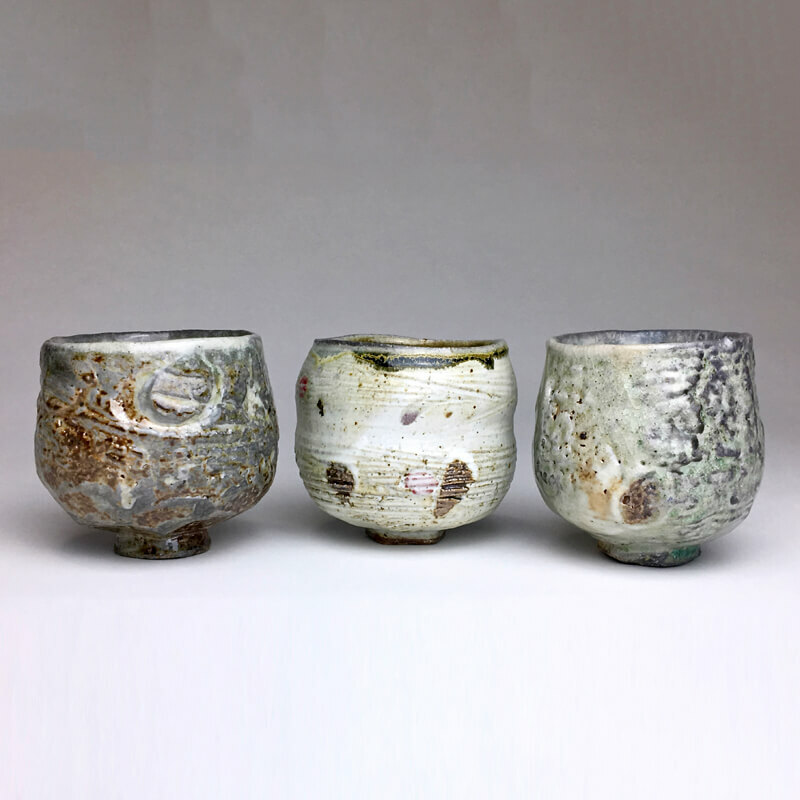 Bruce Kitts was born and raised in Central Illinois where he first discovered the beauty of clay while obtaining his Associates in Studio Arts from Illinois Central College. He then went on to receive his BFA from SIU at Carbondale in 2009 that followed up with a two year residency at Terra Incognito in Oak Park, Illinois. Bruce received his MA from EIU in 2012. As a member of the Illinois Artisan Program, his work has been displayed in various galleries and museums throughout Illinois. In 2015, Bruce left for the west coast where he was a studio tech and artist in resident at the Mendocino Art Center before moving to Helena, Montana and assisted Tara Wilson in the summer of 2018. Bruce currently resides in Missoula, Montana interning at the Clay Studio of Missoula. Hand made objects play a fascinating role in our human lives and relationships. They define us as much as we define them. One’s possessions can be just as representative as another’s creations. Through presentation or by passing down, these objects become a form of language. I’m intrigued by the lineage of dialogue created by a maker’s choice of medium, purpose, process of creation, and the interpretation and utilization of the viewer or recipient. I find clay the most responsive material to initiate this dialogue. Functional pottery is particularly interesting as it serves, commemorates, and even influences our rituals and daily practices. My current work is an exploration of surface by means of incorporating multiple elements during atmospheric firings. Primarily using a soda fire technique, I do not hesitate to add small amounts of wood and/or salt. I am extremely fascinated by the combination of these rather unpredictable elements and how they react to my clay body and glazes which are the foundations of my finished surface. The form and placement of each piece within the overall configuration of the kiln create the flow and environment of the kiln’s atmosphere. A winemaker once told me: “I do not make the wine, the yeast do; I just create the environment for that to happen.” Taking this same approach to my firing process, I introduce an element of risk that encapsulates the spirit of the atmospheric elements. Influenced by rock striations and surfaces, I use a process to texture my work that promotes the inherent qualities of the clay, therefore, strengthening the clay’s voice within the dialogue. Much like my everyday life, I am just as enticed by the journey of my work as the destination. Using a vast array of materials and processes, I aim to create a surface that reflects a fascinating journey; providing a prodigious amount of information while provoking many questions as well. Through texture and form, I wish to make work that is both ergonomic and tactile. My ultimate goal is not to find a balance of aesthetic and functionality, but instead a harmonious synergy between the two that intrigues the viewer to closely inspect the work in its entirety.